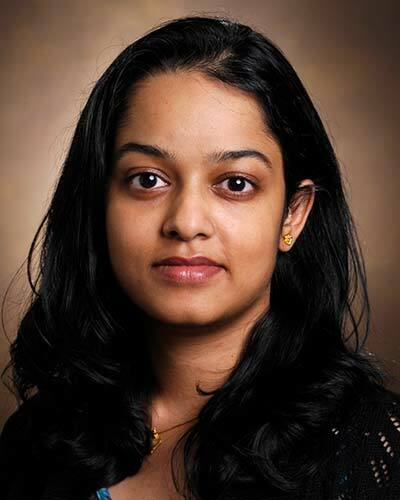 Dr. Rameela Chandrasekhar, Ph.D. is an Assistant professor of Biostatistics at the Department of Biostatistics at the Vanderbilt University School of Medicine. She received her Ph.D. in Biostatistics from the State University of New York at Buffalo in September 2011. Prior to joining the faculty at Vanderbilt, she was a pre-doctoral research affiliate at the Roswell Park Cancer Institute for four years. Dr. Chandrasekhar is currently the senior biostatistician for the Center of Excellence for Children in State Custody as well as the Tennessee Emerging Infections Program. Her research interests lie in statistical computing, clinical trials, biostatistics consulting and repeated measures methodology. For more details of her work, please contact her for a copy of her Curriculum Vitae.